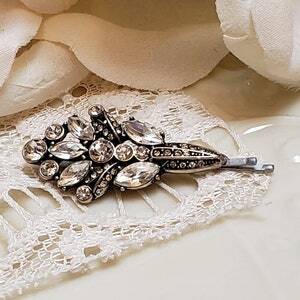 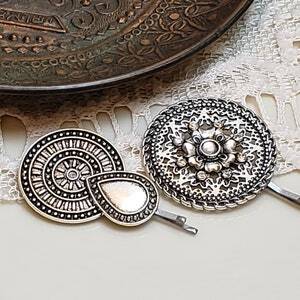 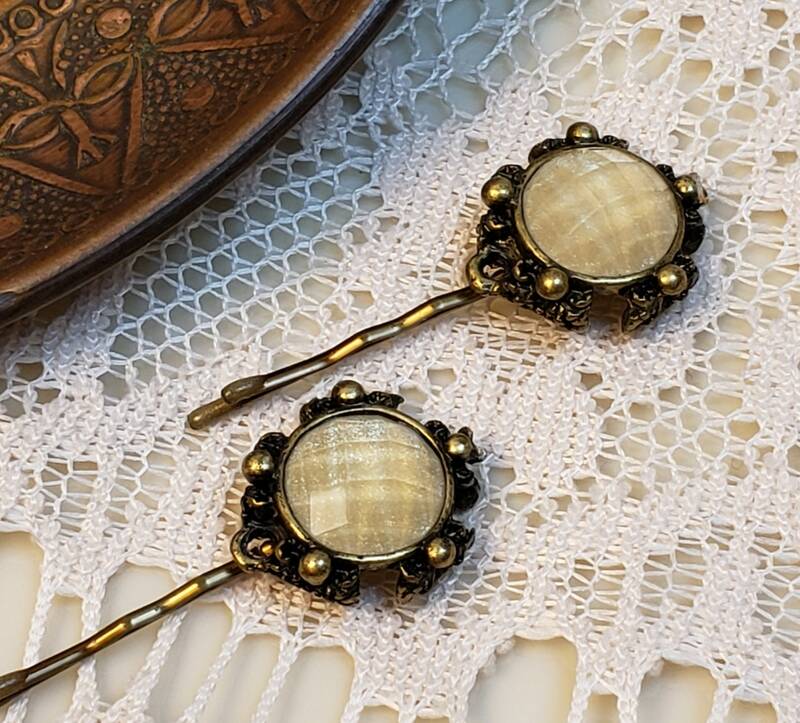 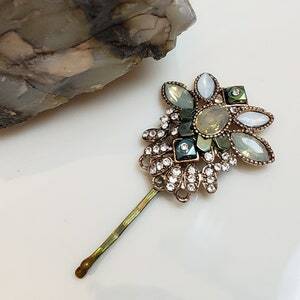 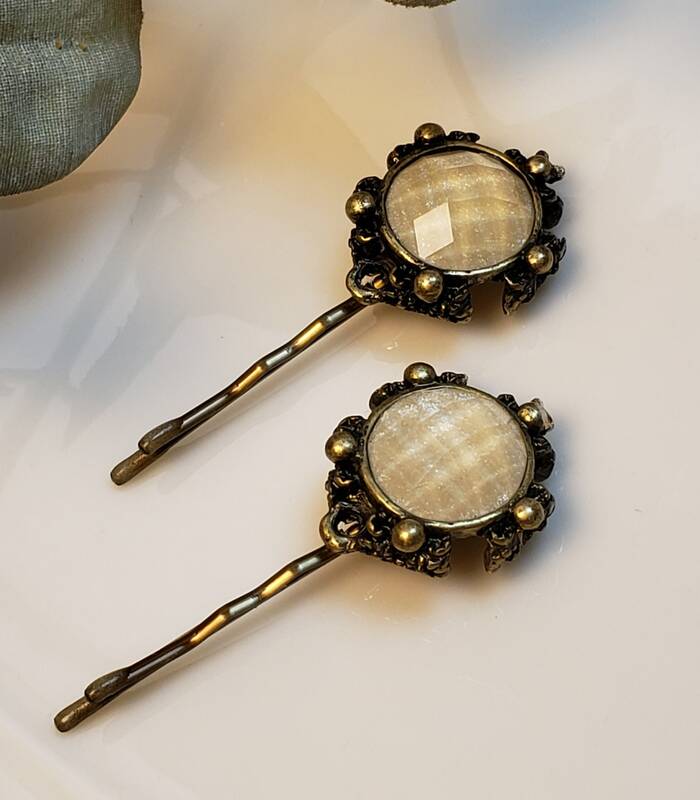 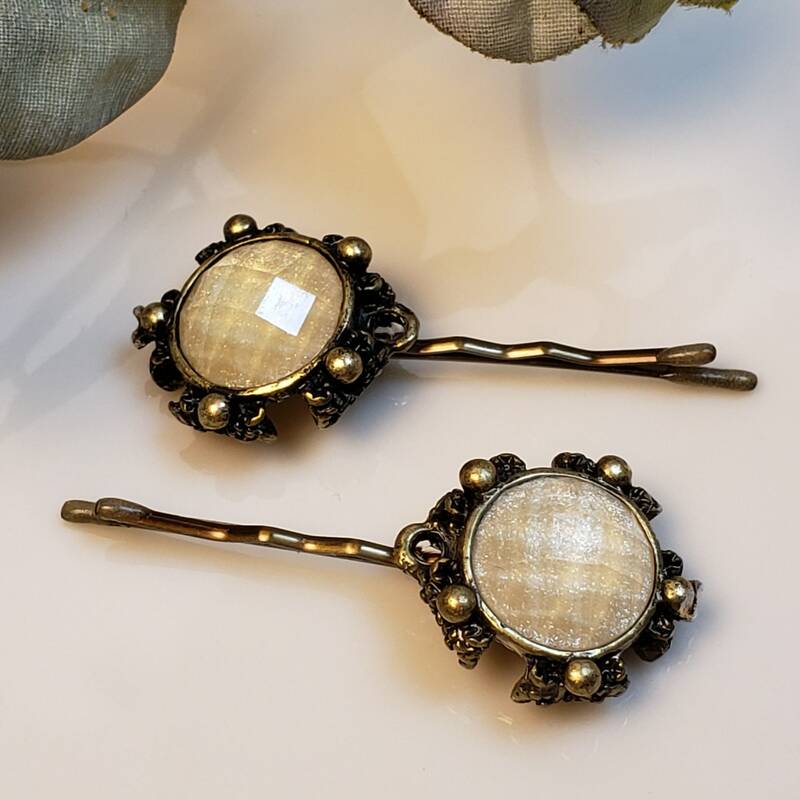 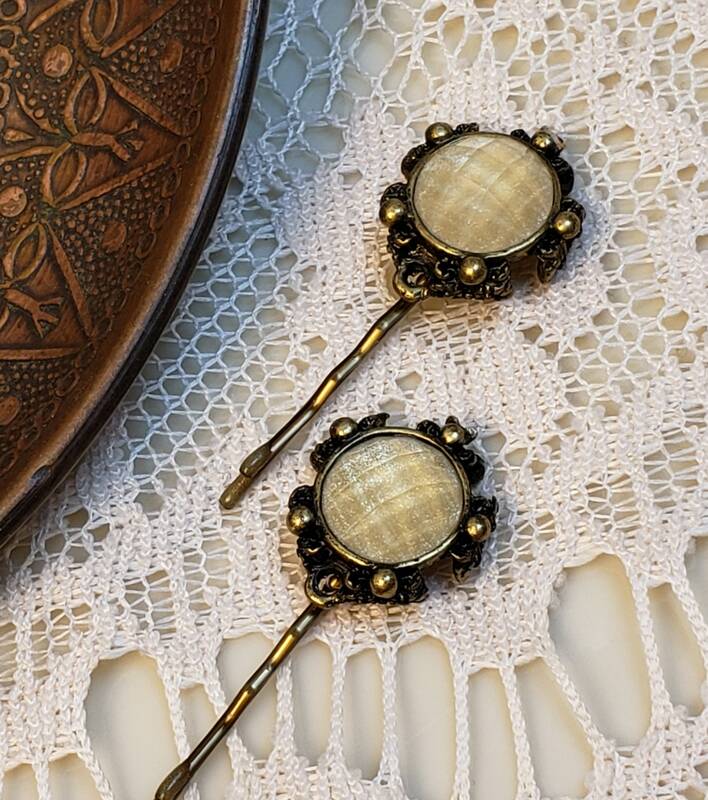 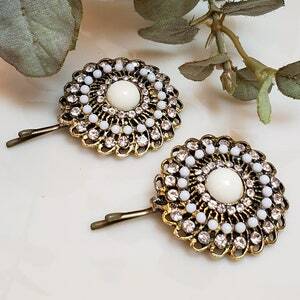 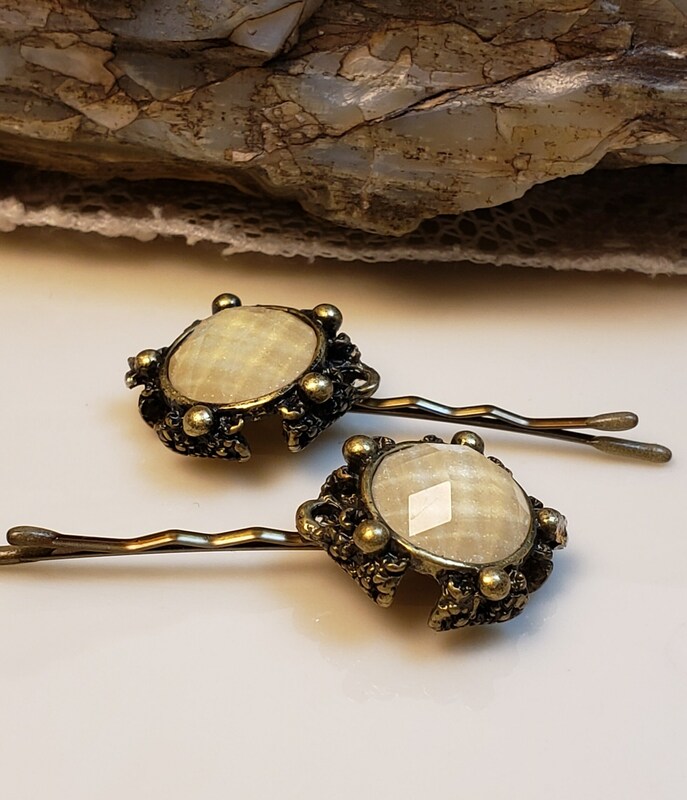 Set of two beautiful vintage style hair pins! 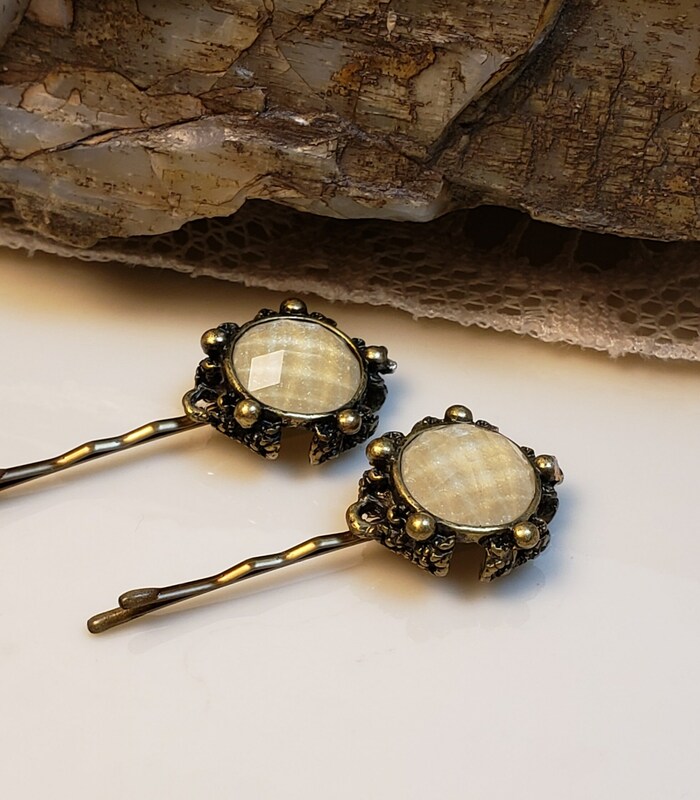 Fancy ornate setting in antiqued gold with deeper tones throughout. 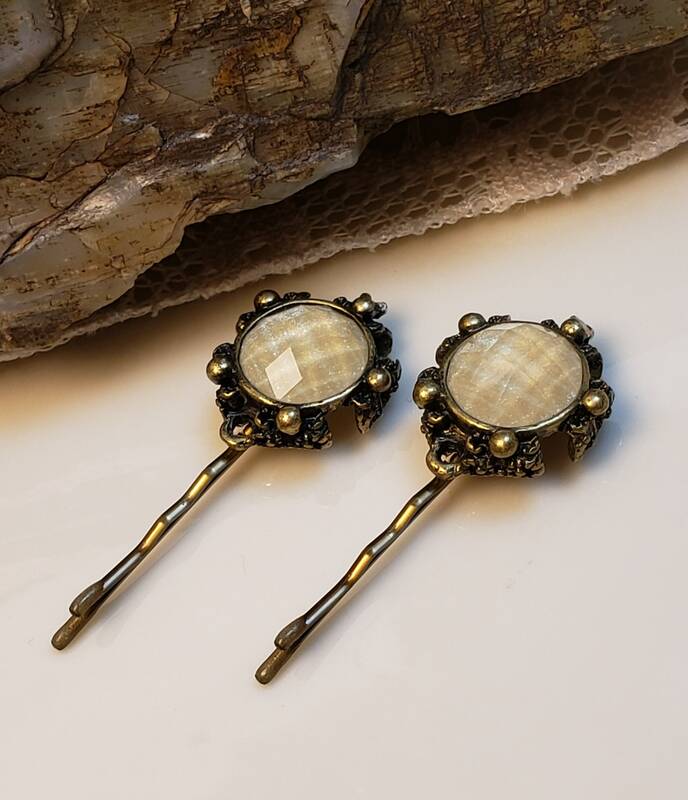 The lovely stone is beautifully beveled with a little sparkle in its milky tones.